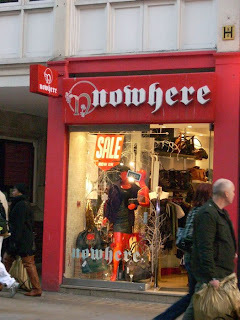 Traveling to London this Summer I found a store called Nowhere. It had the cutest clothes and accessories. Located near Covent Garden, Nowhere has clothing both new and vintage, and a plethora of accessories ranging from jewelry to trendy bags. Upon entering the small shop, I found the prettiest lightweight summer dress. Here, I am wearing it with Kork-Ease camel wedges, and a handmade silver cuff.